The student observes the illustration and unique association and then recalls the story that corrects the spelling error. 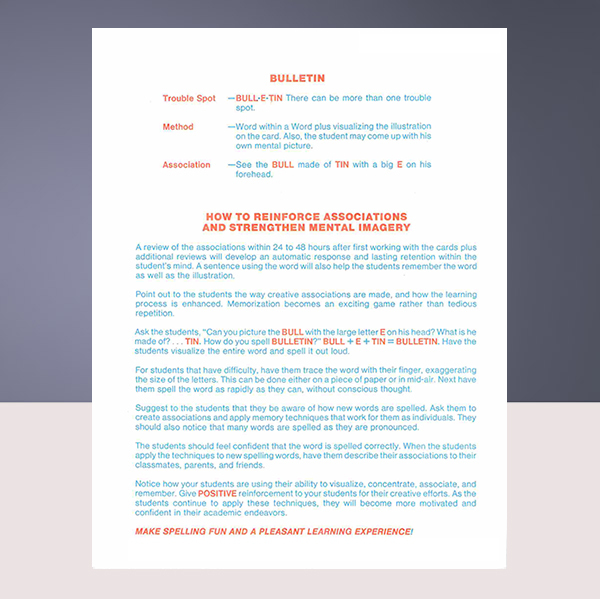 In just a few minutes the flashcards demonstrate the logical process of thinking, how creative imagination works and how students can make their own dramatic associations and have fun learning how to spell. The methods develop right brain and left brain learning! 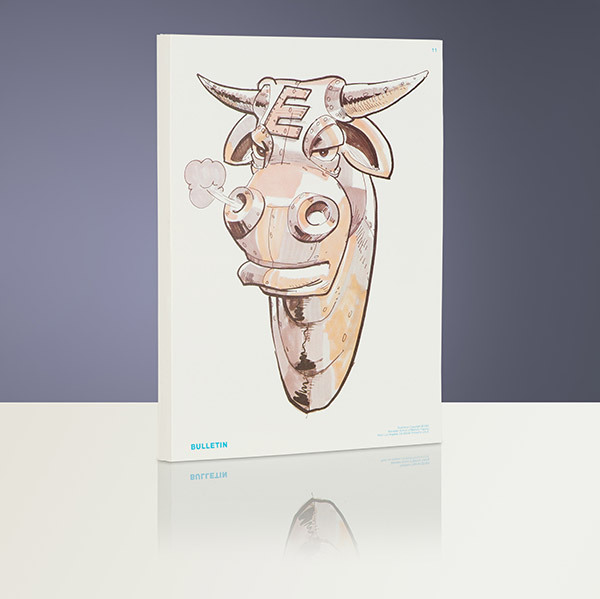 Example: See the head of a “bull” made of “tin” with a huge letter “E” stamped onto its forehead. bulletin. 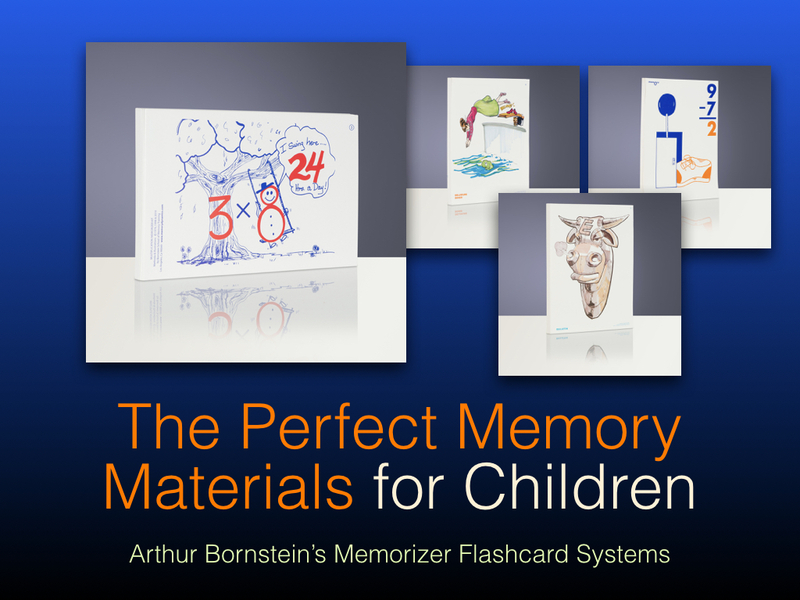 Spelling Memorizer Kit includes 56 large 8.5 x 11 colorfully illustrated flashcards with the association on the back, study guide, and instructional CD.